Math Upgrade 2 (Beta) Is Now Available! You can now enroll your students in Math Upgrade 2. The teacher whiteboard version is also available. I was the first person to use that course map to complete a presentation of Math Upgrade 2 Lessons on the Course map. 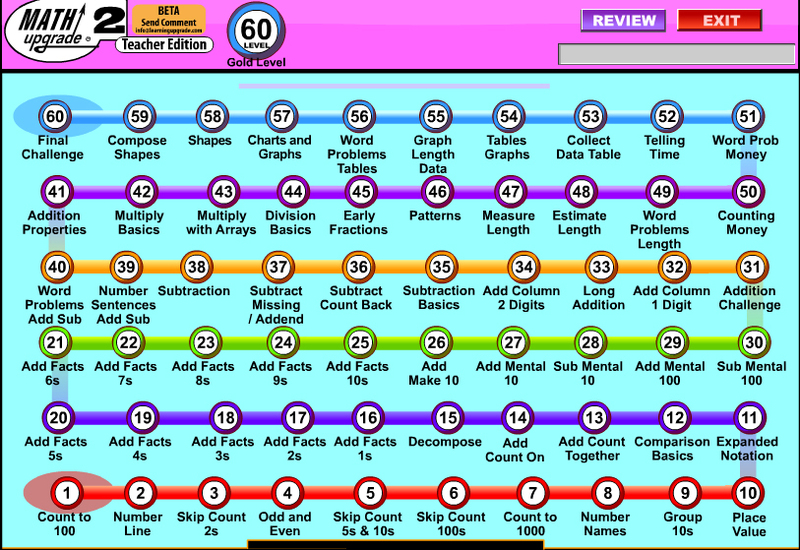 You can count to 100 or 1,000, skip-count by numbers from 3-100, use mental math and more! The 60 step-by-step enjoyable lessons include original pop songs, teaching videos and engaging practice games. Students in 2nd complete Level 3, Skip Count by 2’s, Level 13, Adding & Counting Together, Level 47, Measuring Length and Level 58, Shapes. Whoever completes those lessons moves into Math Upgrade 3! Give your students a new path to math success with Math Upgrade. It is for students grade 2-6 and pre-algebra students. Students grade 4-6 will learn basic pre-algebra. Students grades 3-6 will review math so they move into Pre-Algebra Upgrade, a course for grades 6-12 and adult learners. At 12 years of age, I will tell you all that I’m in Pre-Algebra Upgrade. I’m 8 years of age and I’m switch over to 3rd grade to complete basic 2nd grade lessons, multiplication and more. I will also use the Math Upgrade 6 Review. It is for grades 3-6. I’m going to speak with you all at 9 years of age!